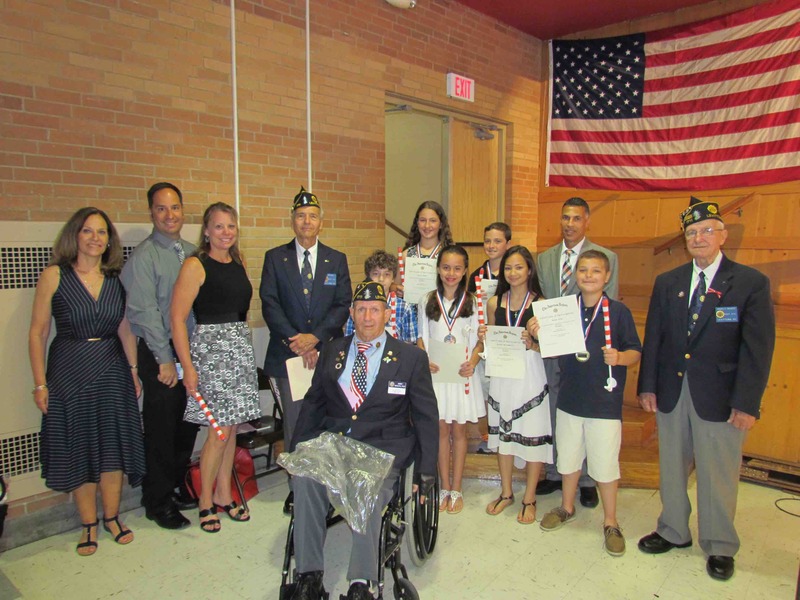 During Lee Road Elementary School’s moving up ceremony, American Legion Post 1711 recognized students (front, from left) Jack Kassimatis, Ava Agnello, Athena Mavromatis and Dylan Trop; (front, from left) Taylor Brunn and John Kelly as winners of the American Flag contest. 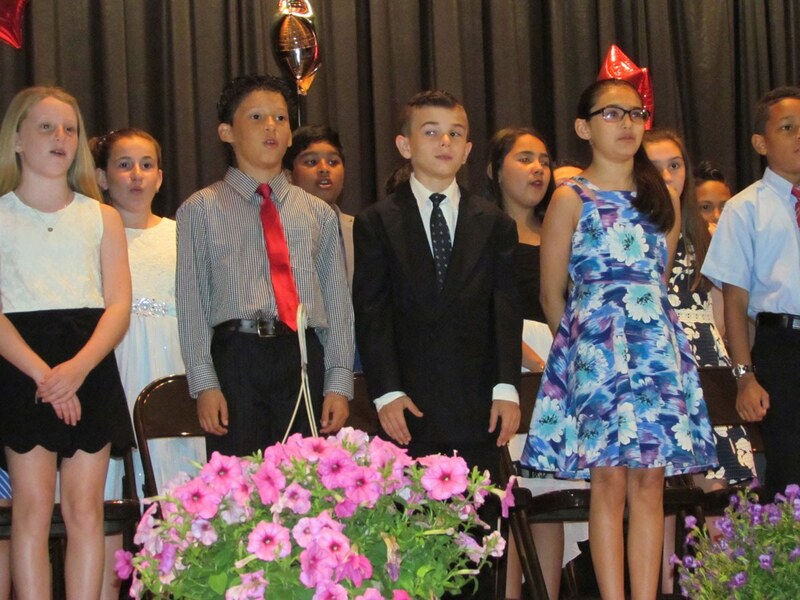 Levittown’s elementary school students celebrated their successes during their primary years of education and now look forward to entering a future of new academic experiences at Jonas E. Salk and Wisdom Lane middle schools. 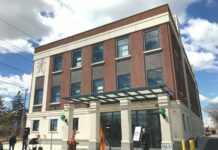 As part of the district’s moving up tradition, the faculty and staff at Abbey Lane, East Broadway, Gardiners Avenue, Lee Road, Northside and Summit Lane elementary schools recognized the students with awards and celebratory speeches during their respective ceremonies. During Abbey Lane Elementary School’s moving up ceremony, students sang the graduation song titled “I’m the Greatest,” as well as the Abbey Lane School Song for family and friends. est and to be a good sport. 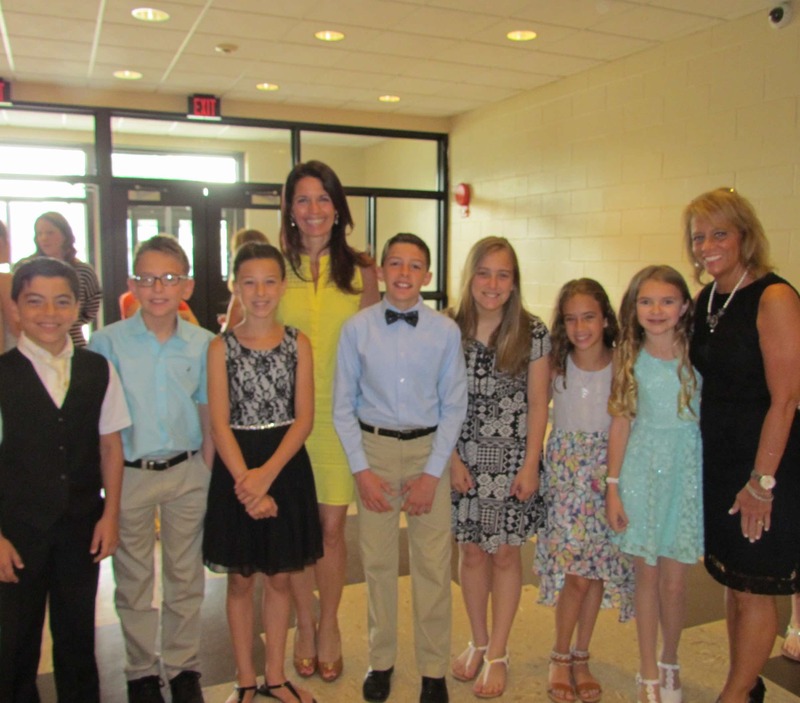 East Broadway Elementary School assistant principal Beth Swanson and principal Jeanmarie Wink posed with students prior to the moving up ceremony. 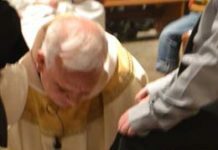 After the ceremonial speeches, choral selections, recognitions and special readings, the students were presented one by one with their certificates of completion to the applause of parents and family. They then joined their families for refreshments and said goodbye to classmates for the summer recess.